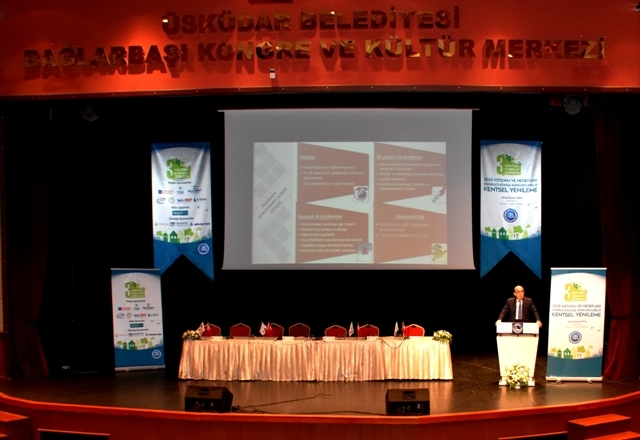 The “3rd Urban Transformation Summit” was held on November 24-25, 2016 at Üsküdar Bağlarbaşı Congress and Culture Center. In the event organized by Reis Map, Real Estate and Geographic Information System Association, representatives of the local government, construction and finance sectors, public and private sectors, and academicians came together to discuss the urban transformation in all aspects. In the summit with theme: “Sustainable Urban Renewal in line with 2023 Vision and Targets of Turkey”, the specialists shared information about legal, technical and social aspects of the Urban Renewal projects. In the 1st session of the 2-day panel, urban renewal process in Turkey was evaluated in line with 2023 targets. Findings and expectations were expressed accordingly and renewal project approaches for sustainable cities were also addressed. In the 2nd session, the urban renewal implementations by local governments were discussed in a broad aspect. Kazım Gökhan Elgin, the Director of Istanbul Project Coordination Unit Istanbul Governorship who made a presentation titled: “Transformation of the Public Buildings in Istanbul” was also among contributors of the panel. Mr. Elgin stated that they had been diligently working since 2006 to prepare Istanbul for an earthquake as a result of which they had retrofitted and/or reconstructed 1288 public buildings. He also expressed that, under ISMEP. Project, they achieved to improve and expand the communication network, upgraded the emergency response capacity of the first responding organizations, established two new disaster command control and coordination centers in both sides of Istanbul which will be used to coordinate any possibleemergency situation and disasters, and also continued to provide awareness raising activities and trainings.